ALLEGRA BOVERMAN/Staff photo. Cambridge: David Pike, the tonal director for C.B. Fisk, inside the pipe organ inside Memorial Church at Harvard University. 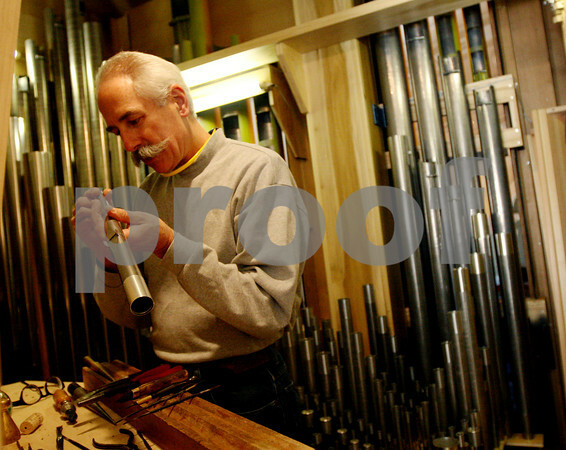 He and his team are finetuning the organ pipe by pipe.